James was born in Florence County on June 3,1939, a son of the late Mr. Harold Haynesworth Sr. and Mrs. Allie Graham-Haynesworth. 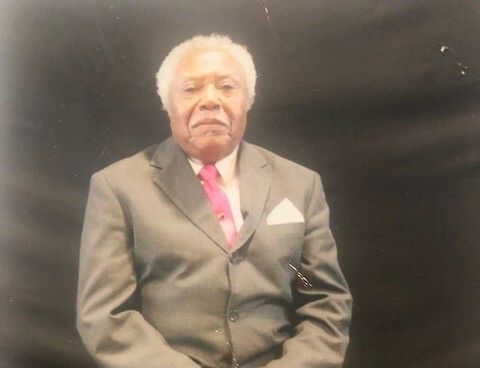 He was called home by the Lord on Saturday February 2, 2019 after a battle with an illness. James received his education in Florence County School System and graduated from Wilson High School with the Class of 1957. He then moved to New York were he found employment with George Howell Motors Cars in 1963-1972. In 1972, he later obtained employment at Carriage House Motor Cars until retirement. In 2006, James and Josephine relocated back to Darlington, SC making this their final home. James then gave himself to Christ joining New Jerusalem Apostolic Church in Darlington, SC. He served on the Senior Choir, Male Chorus and the usher board. James was considered “Jimmy” to some and “Papa Joe” to others. He was a great storyteller which would have the grands being attentive to every word. His laugh was contagious and smile would light a room. James was always a friend of a friend and always made you feel welcome and apart of the family. James took pride in his family. He was married to the late Josephine Jett-Haynesworth. James is proceeded in death by his loving wife Josephine Hayneworth, two brothers: Harold and Charles Haynesworth, three grands. He leaves to cherish his memories his children eight girls: Janice Jett-Murray of Florence, SC; Jenice Jett of NY, NY; Carolyn Williamson of Darlington, SC; Glenda Coe-Taylor of Florence, SC; Cheryl (Wayne) Kasey of Baltimore, MD; Nikki (Otis) Haynesworth-Samuel of Florence, SC; Malika (Eric Marrero) Haynesworth of Ny, Ny; and Jasmine Haynesworth of Brooklyn, NY. Five boys: Michael (Ronnie) Jett of Darlington, SC; Lamar (Charlena) Grant of Florence, SC; Tyrone(Leeadra) James of Ny, Ny; James (Felicia) Haynesworth of Atlanta, GA; and Parnell Haynesworth of Yonkers, Ny. Two special grands other home Jada Kilpatrick and CJ Nelson. Three sisters: Lear lee Murray of Ny, Ny; Celestine Haynesworth of Bronx, Ny; and Helena McCellean of Florence, SC. Three brothers: Vernon (Orle) Haynesworth, Elijah (Rebecca) Haynesworth, Frank (Betty) Haynesworth all of Florence, SC. A special aunt Ella Mae Cummings of Florence, SC. A dear friend Janie Brooks, a special cousin Anton Hunter and 30 grands and 31 great grands. A host of nieces, nephews, relatives, and friends.